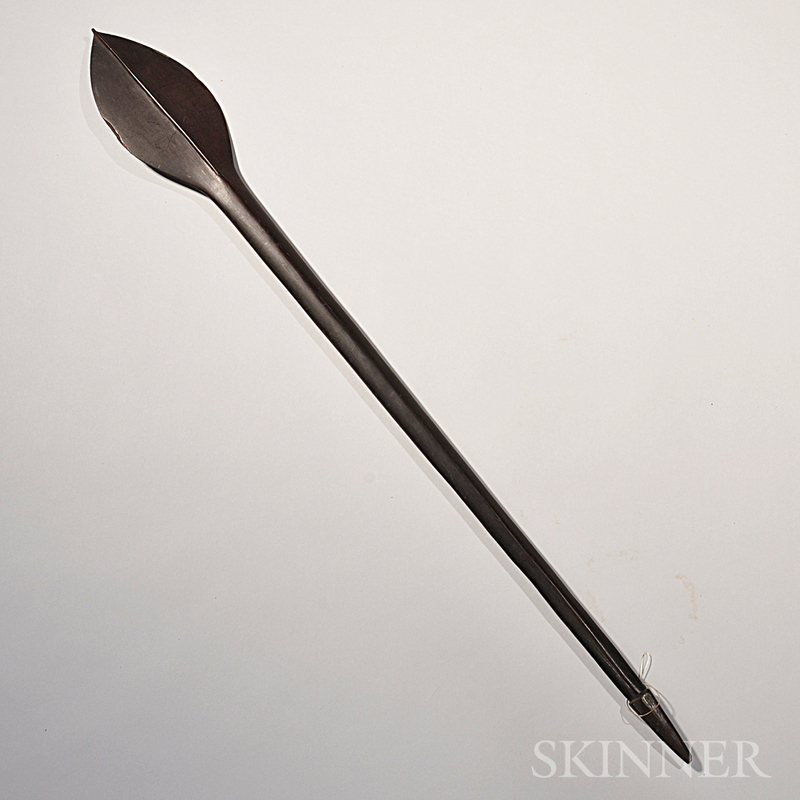 Solomon Islands Paddle Club, c. 19th century, the graceful form with dark patina, (wood loss), lg. 42 1/2 in. Provenance: Leo and Lillian Fortess collection.